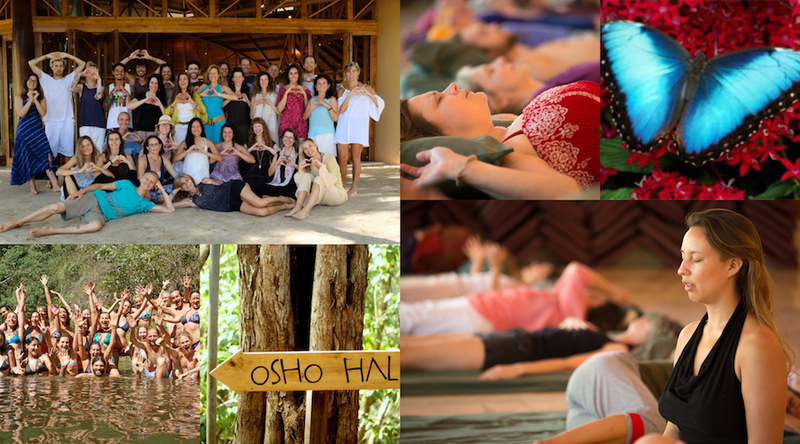 Join us in magical Costa Rica for an incredible 8 day deep dive into personal healing, soul rejuvenation and expansion. Clarity is a profound healing modality to shift energy patterns on a deep level and open to more of who we really are. 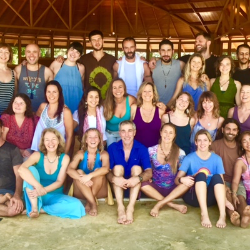 Pachamama is an amazing place to do this work where we can breathe in and by the ocean, the wild river and forest! There is limited space for our group so please contact us right away if you are interested in attending. The Clarity Breathwork process helps to activate the subconscious mind and bring awareness and insights not easily accessed through traditional therapy. Breath opens the energy channels in the body and allows what we have been holding onto to surface and be released. This may be suppressed emotional material, physical blocks in the body, old beliefs structures and identifications, old memories, escape patterns and addictions. Clarity Breathwork combines counseling and insight as well as a somatic experiential process where clients gain a deep level of insight, release emotional baggage and actually feel the patterns shifting and transforming. Clarity Breathwork emerged out of the consciousness era of the 60’s to support people in addressing core issues held in the subconscious while also expanding consciousness in order to contact one’s Essence-healing our false sense of separation. It supports people to release stress and tension, heal and resolve trauma, gain deeper insights into current life issues, and access one’s own internal healing energy, creativity and greater knowing. PachaMama is an oasis of an alternative lifestyle. It’s a place to dive into a transformative spiritual voyage, rejuvenate the body, connect with nature and celebrate life. The village is located on the Pacific coast of Costa Rica in a forested valley. PachaMama was founded 10 years ago by Tyohar and fellow travelers who responded to the invitation to manifest together a commune that embraces a new way of life. Ever since it was founded, the oasis became a gathering place for people from all over the world, creating a colorful and unique energy field. *Early Bird Prices are available if you complete the full payment for Levels 1-2 by June 20. A non-refundable deposit of $200 will reserve you a place. All prices include the 13 % sales tax. There are a limited number of cottages available for our group. You must book asap to reserve one. Pay Deposit to reserve your spot! Register Early as Space is Limited. We accept MC/Visa/Amex.